The focus of the last full Union Budget before the Narendra Modi-led NDA government gets into poll-mode before the 2019 elections has been on farmers and rural India. After all, the rural voter ensured that the Bharatiya Janata Party (BJP) managed to just get past the majority mark in the recent elections in Gujarat, a state that the party has been ruling continuously since 1998. Finance Minister Arun Jaitley surprised all by unveiling a health insurance plan for 100 million poor families - approximately 500 million people - with a coverage of `5 lakh per family per year. The details are yet to percolate, but what is now being called Modicare could well be the biggest such plan ever in the world. However, Jaitley missed the fiscal deficit target. It's now 3.5 per cent against the targeted 3.2 per cent and in the next fiscal would be 3.3 per cent against the original 3 per cent. Q: What do you think of this budget? Shubhashis Gangopadhyay: The world economy is on an upswing and that should help the Indian economy too. However, to exploit this situation to our advantage, we need to improve capacity utilisation, increase investment and consumption spending. At the same time, we need to create new and productive jobs for our rising labour force. The budget clearly seems aware of this and has touched on almost all these issues. The biggest problem in India is, of course, with the implementation of programmes and that, to a very large extent, is outside the purview of the Finance Ministry. So, I would say that this is a well thought out budget. Nimesh Shah: Overall the Budget was finely balanced between the need of the masses and fiscal constraints. Ashu Suyash: It was an inclusive budget focused on making growth distributive without resorting to populism. Rural economy, infrastructure, healthcare and jobs got most of the attention, and rightly so. It seems to have done justice to 'Sabka saath, sabka vikas'. Abhijit Sen: This budget, being the last full one before the next elections, was widely expected to address agrarian distress and increase social sector spending. It was also expected to cut the corporate tax rate, both in view of past promises made and in line with recent worldwide trends. However, since world oil prices are rising and GST collections show a shortfall, most observers doubted whether much could be delivered in terms of higher spending or tax-cuts without breaching the fiscal responsibility targets. In the event, fiscal targets were breached in 2017-18: by 0.3 per cent of GDP in case of the fiscal deficit and by 0.7 per cent of GDP for the revenue deficit. Further, both fiscal and revenue deficit targets for 2018-19 (3.3 per cent and 2.2 per cent of GDP) are higher than had been budgeted for 2017-18 (3.2 per cent and 1.9 per cent). tion tax and the space devoted in the budget speech to agriculture and social sectors is not matched by committed budgetary outlays. In fact, neither of the two main announcements - MSP at 50 per cent above cost and the National Health Protection Scheme - are even costed and incorporated in the budget numbers. The fiscal slippage is thus not accompanied by much tangible gain. Ashwani Mahajan: The last Full Budget presented by Modi government, has been dedicated to the villages and the poor. The world's largest health protection scheme (even bigger than Obamacare) has been announced in the budget. In conformity with the Bharatiya Janata Party's election manifesto, the Minimum Support Price (MSP) will be not less than cost plus 50 per cent and has given in principle approval to implementation of Swaminathan Committee Report of 2004, which no government up to now could gather the courage to do. Additional measures to spur employment generation are among the other notable announcements in the Budget. Shubhashis Gangopadhyay: Increasing domestic investment is essential for spurring growth. Making it easier for MSMEs to do business and expand scale should help push up growth rates if demand can be created for their products. MSMEs connected to the global supply chain will benefit from the upswing in the world economy and the intended focus on MSMEs in this budget. MSMEs not connected to the world economy should do well if domestic demand picks up. Domestic demand should pick up if farm distress is addressed, employment is created and government infrastructure expenditure picks up. If the budget plans are properly implemented, growth should pick up. Nimesh Shah: Through this Budget the government has addressed the needs of rural India by way of concentrating on agriculture, healthcare and education sectors. All steps have been taken to boost rural incomes, by way of increasing minimum support price of kharif crops. Through such steps the government is on course addressing the various blocks which will cumulatively help boost growth. Ashu Suyash: The budget proposals will incrementally contribute to economic expansion; the pace will largely be due to factors outside the budget. We expect GDP growth at around 7.5 per cent in fiscal 2019 driven by fading impact of demonetisation and the Goods and Services Tax, strong cyclical global recovery and expectation of a normal monsoon. Abhijit Sen: The overall 2018-19 expenditure is budgeted only 10 per cent higher as compared to 2017-18RE. This is less than the assumed nominal GDP growth of 11.5 per cent, and thus implies no additional demand boost for growth. Moreover, capital expenditure (including grants in aid for creation of capital assets) is budgeted only 7 per cent higher in 2018-19 than 2017-18RE, so that composition of the budgeted spending is even less likely to have a positive macro-economic effect on growth. There could of course be some positive micro-economic effects from some of the announcements regarding MSME and agriculture, but the overall growth inducement of these is likely to be modest at best. The hope for higher GDP growth in 2018-19 continues to lie mainly in the green shoots seen during Q3 of 2017-18 and from the growth in the world economy, not in the budget. Ashwani Mahajan: Though, there are measures announced in budget to increase infrastructure expenditure, boost MSME sector, encourage domestic saving increasing capital expenditure we must accept that the focus has been on addressing the agricultural crisis. Perhaps, the government has made course correction in policy making, looking at the lopsided benefits from the GDP growth so far. What is your analysis, how will this budget trigger (or not) job growth? Shubhashis Gangopadhyay: If job growth is simply more people earning a living, it will always happen in India. This is because our labour force is increasing and most people cannot afford not to earn a living. Given that we have a large informal sector and self-employment, jobs, defined as income earning activities, will definitely grow. However, when it comes to non-trivial job growth, we have to look at long-term employment in the formal sector and at reasonable wages. This requires investment that will create new jobs to meet sustained increase in demand. Given the existing excess capacity in many sectors and lack of skilled people, it will be some time before such job creation happens. Ashu Suyash: A number of incremental steps have been taken to create jobs. The focus on rural housing and roads will help build assets and create jobs. Construction is a very labour-intensive activity and, more importantly, it can absorb low-skilled workers in the hinterland. All weather roads to connect rural and agricultural markets will serve the dual purpose of creating jobs and improving farmers' access to the markets. The government has retained the MGNREGA allocation at `55,000 crore to provide a job buffer to the rural economy. Extension of fixed-term employment to all sectors marks progress on labour reforms and will encourage hiring. Increased allocation to textiles and EPFO relaxation to 150 days (emolument deduction of 30 per cent to new employees) to apparel, footwear and leather industries is also positive for these labour-intensive sectors. Abhijit Sen: Job growth is linked ultimately to GDP growth and so the conclusions on GDP growth apply also to job growth. However, the budget speech mentioned that 7 million jobs may have been created in 2017-18, based on Employees Provident Fund data. It also unveiled steps whereby government will help with EPF registration and contributions. There may therefore be some increase in jobs as measured by EPF registration, but the contribution of this to overall job growth (including in the informal sector) remains unclear and is likely to be mired in measurement controversies. Ashwani Mahajan: It has been felt that the growth model adopted in the era of globalisation has failed to create sufficient job opportunities and there has been jobless growth. In the last couple of years, the government started giving concessions to additional job creation and started contributing towards EPF for those newly employed in a limited way. However, in the Budget this contribution of 12 percent towards EPF has been extended to all sectors for next three years, which is a welcome step. sector, and the rural economy as a whole? Is this Budget good enough to calm rural distress? earning opportunities. And this is yet to happen. Nimesh Shah: Through this Budget the Government has strived hard to take some concrete steps in addressing the concerns. 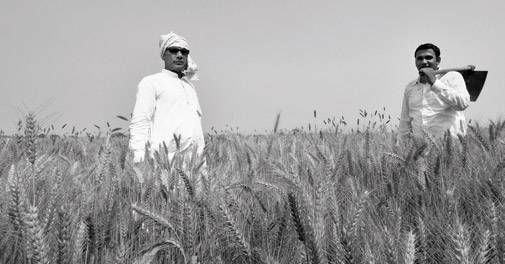 Ashu Suyash: Rural sector has been the primary focus of the budget, with measures such as an assured minimum support price to be set at 1.5 times the cost of production, export liberalisation of agri-products expected to revive farm realisation, and increased expenditure on rural infrastructure. The agriculture market infrastructure fund, with an outlay of `2,000 crore, to be set up for developing and upgrading agricultural marketing infrastructure in the 22,000 Gramin Agriculture Markets or GrAMs and 585 agricultural produce market committees together with setting up of mega food parks will help farmers in marketing their products and get better prices for them. "Operation Green" is aimed at checking price volatility in perishables such as potato, tomato and onions. Also allocation to women's Self Help Groups (SGH) has been raised to `75,000 crore and they are being encouraged to take up organic farming. These measures need to be complemented by measures outside the budget, such as support from states and relentless implementation, for success. Abhijit Sen: The budgeted 2018-19 expenditure of the ministries of Agriculture, Water Resources and Rural Development are respectively up 14.6 per cent, 15.4 per cent and 3.6 per cent, in nominal terms over 2017-18RE. Together, the rise is only 7.4 per cent. Thus, there will be higher real spending for agriculture, but this is neither spectacular nor is it significant once rural development funding is included. The dent on rural distress may therefore be only marginal. Ashwani Mahajan: There has been a long pending demand that farmers be given minimum support price (MSP) not less than cost plus 50 per cent, to make agricultural activities remunerative for farmers. By announcing the government's intent to offer the same to farmers, and extending the same to all crops is a welcome step, which would help improve the economic condition of farmers and food security. I feel MSP has been a major issue in the discourse on agri-distress. At the same time the announcement to make Kisan Credit Card available to people engaged in fishing, animal husbandry would help generate non-farm activities in rural areas, which is a welcome step. Given that this is the last full Budget of the first non-Congress full majority government, how do you analyse the path taken by the economy in the last four years? Shubhashis Gangopadhyay: The economy is in a state of adjustment post demonetisation and the implementation of GST. Our growth is still lower than before and enough productive jobs still have to be created. For this we need a structural break in the way we create skilled people and reward them with good jobs. Much of what is being done, or has been done, in the last few years will help but it will take more time to show discernible outcomes. In this context, the budget focus on MSMEs is welcome. The positive aspect of this is that the government has not announced simple sops to MSMEs but has actually talked about smoothing out the frictions in the system. Nimesh Shah: Over the past three Budgets, through small steps along with various landmark reforms such as GST, the government has managed to bring about structural reforms. Though there will be transient hiccups, the reforms initiated are long term in nature. Ashu Suyash: The government has got more focused on the rural/farm sector because of the rising distress there despite 2017 being a normal monsoon year. What has not changed is its commitment to reform orientation and its support for infrastructure creation. At the same time they have sharpened their focus on providing social security to the underprivileged and senior citizens. Abhijit Sen: Since 2014, the country has had the windfall of low world oil prices. During 2015-17, this windfall was more than 3 per cent of GDP annually. Even in 2017-18, the windfall (as measured by the oil price relative to 2013-14) was over 2 per cent of GDP. Compared to this, improvements in fiscal and BOP parameters (around 1 per cent of GDP over the last four years) have been relatively low. Also GDP growth, although better in the last four years than in the last two of UPA, remains significantly below the UPA government's 10- year average. 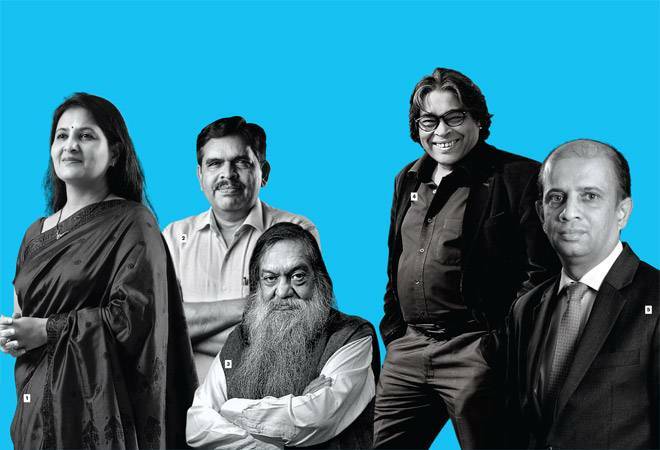 Has enough been done for the social sector? Shubhashis Gangopadhyay: Given the lack of access to health, education and social security among large portions of the population there is a lot to be done for the social sector. The budget has shown great awareness of this. However, as I have said before, much of the devil is in the implementation and, in that, the Finance Ministry has little say. However, as far as the budget is concerned a lot has been done for the social sector. Nimesh Shah: Yes. This budget has increased expenditures on social causes such as education, healthcare, women and senior citizens while providing tax breaks for the senior citizen. Ashu Suyash: Schemes for health and education were among the highlights of the budget. The launch of the flagship National Health Protection Scheme to provide coverage of up to Rs 5 lakh per family for 10 crore poor is likely to benefit 50 crore people. Never before has this segment received an intervention of this scale and it can have transformational impact with the right mix of implementation prowess, resources and supporting infrastructure. Similarly, the scheme for Revitalizing Infrastructure and Systems in Education is quite ambitious. The focus, now, should shift to implementing them as effectively and as soon as possible. Abhijit Sen: As the Economic Survey acknowledges, the NDA performance on health and education is nothing to celebrate. Despite the budget announcements, no great change is likely this year also since the announced health initiative is unlikely to kick-off till 2018-19 Q3 at the earliest. How implementable are the schemes announced in the budget speech? Ashu Suyash: NHPS highlights government's intent to reduce out-of-pocket expenditure on healthcare by the poor. However, funds allocated to the scheme appear lower than the ambition and therefore the administration of these schemes needs to be seen. For infrastructure sector, of the Rs 3.9 lakh crore outlay, only one-third is through budgetary support; the rest comes through internal and extra budgetary support. This would mean a dependence on internal accruals or borrowing capability of public enterprises such as the NHAI. Abhijit Sen: Not much can be said now regarding implementation of the new schemes/initiatives, since details are yet to be available. However past experience with both MSP and Health Insurance point to significant problems that will need to be overcome.